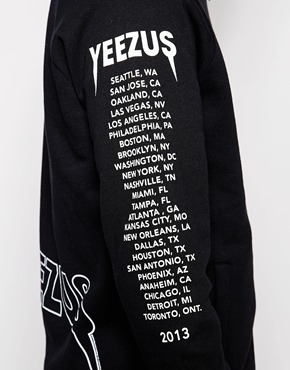 Thanks to HighSnobiety‘s new What Dropped Now shopping destination, I have successfully bookmarked several things which I have no intention of buying, because life. 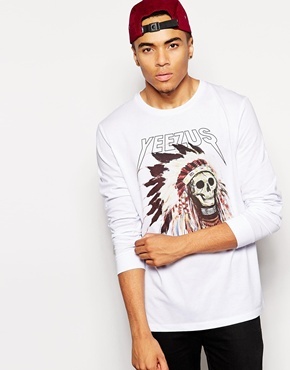 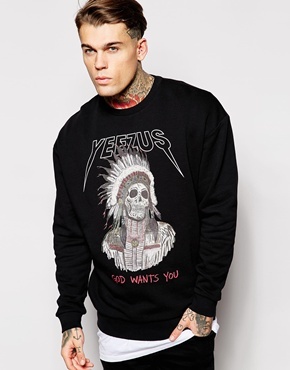 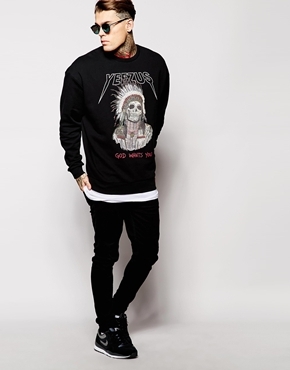 On the most recent email blast I noticed a Yeezus crewneck at ASOS and when I searched “Yeezus” over at ASOS.com there were a few new arrivals. 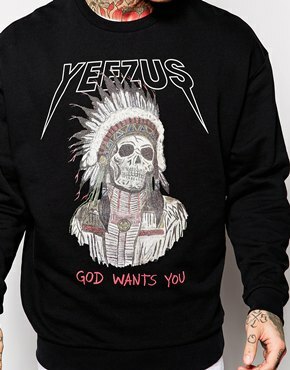 At first I was excited to get the crewneck version of my favorite tee but once I hit “Zoom?” Aww naw. 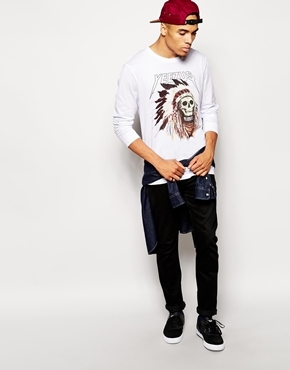 There aren’t as many colors or layers or details, in short— it’s just not the same. 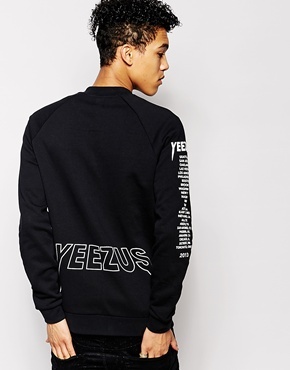 To further complicate things, when you check out the item info, the brand is ASOS… not Kanye West, or Yeezus or Donda which makes me worry that these are unlicensed replicas. 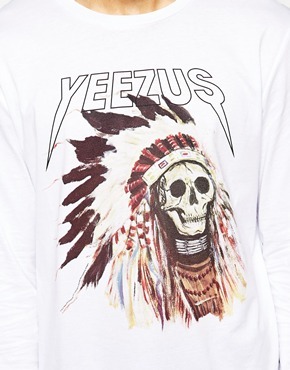 You’re probably thinking, “Why would a legit company do something like that?” Well, remember how many times Topshop and Rihanna went back and forth when they straight up made tees and dresses with her face on them? 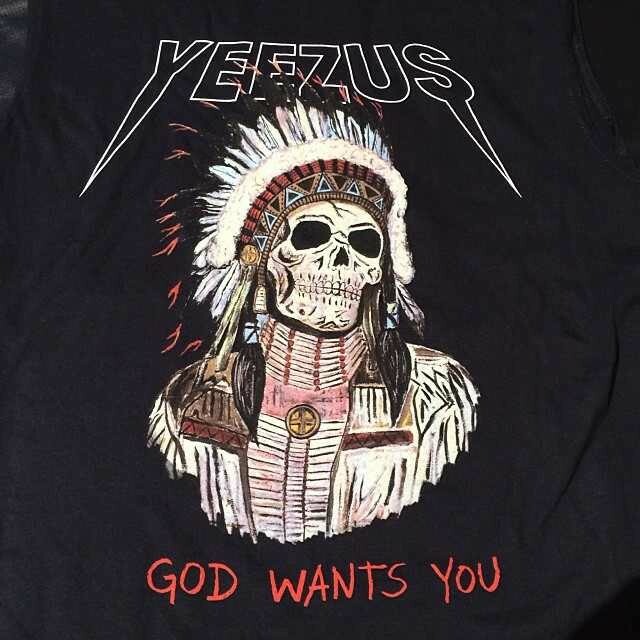 No word yet if this is a “Yeezus merch at PacSun” situation or if these are straight up fakes but if Kanye doesn’t tweet, I guess we’ve got our answer.